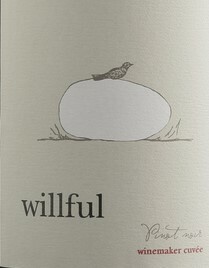 Willful is the reincarnation of Daedalus, launched with this 2012 vintage. All Pommard clone and 95% estate-grown, this aromatic, welcoming wine brings nuanced black cherry and cola scents and flavors into focus. Lightly spiced, rather soft and open, it's a lovely example of the strengths of the 2012 vintage.